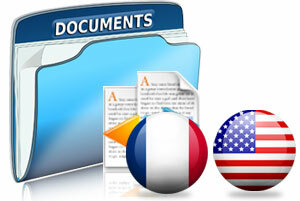 Looking to use software to translate French to English and English to French emails, documents and website content? This page includes all the essential information you need to know about the French language as well as tips to ensure a high accuracy for your translations. Knowing the gender of a noun is important when you’re converting text into English and vice versa. However, this might not be such an easy task. It can help if you look for patterns in suffixes and word endings. For example, nouns ending in -age, -ment, -il, -ail, -eil, -ueil, ing, - ard can indicate masculine nouns, while nouns ending in -euse, -elle, -esse, -ade, -ance, -ence can indicate the use of feminine nouns. These gender patterns are not foolproof, however they can help you decide whether a noun is masculine or feminine. In the French language you will notice the use of three accents over the vowels: the acute (´) over e, the grave (`) over a and e, and the circumflex (^) over a, e, i, o, and u. An accent may serve to indicate the pronunciation of a vowel, distinguish homonyms, or mark the discarding of the letter s from a word. A cedilla placed below the letter c (ç) signals that the c is to be pronounced as s. Ordinarily, c is pronounced as k before a, o, u, or a consonant and as s before e and i. If you want to type these French characters with your regular keyboard you can do it easily using ASCII characters. Take a look at this Foreign Language Characters chart to learn more. The French language has changed little since the Middle French period. Standardization of the French language has been aided in modern times by more widespread education and by the mass media. The francophones of France generally use Metropolitan French, which is considered standard. You will notice there are some differences in the Quebec dialect and Canadian French. These are easily handled with localized dictionaries. Example, you can have a Canadian French Dictionary and one for France. 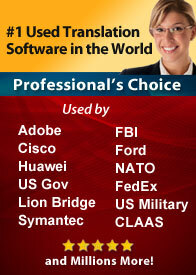 Systran provides the most widely used and accurate software to translate French to English and English to French text. This includes everything from emails, Microsoft Word documents, PowerPoint presentations, Excel spread sheets, and even entire websites. In fact, Systran is integrated into your favorite applications so you can quickly translate text with a click of a button directly from MS Word, Outlook or Internet Explorer. In addition, the software has powerful conversion capabilities that enable it to retain your original document’s layout, text highlighting, font styles, graphics and tables. Increasing the accuracy of your French translations is easy. All you need to do is build your own custom dictionary where you add your most commonly used words. 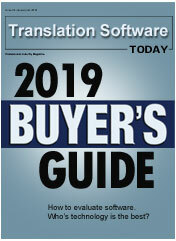 The more words and terms you add to your dictionaries, the smarter the software and the more accurate the translations. Not yet convinced that this is the right solution for you?